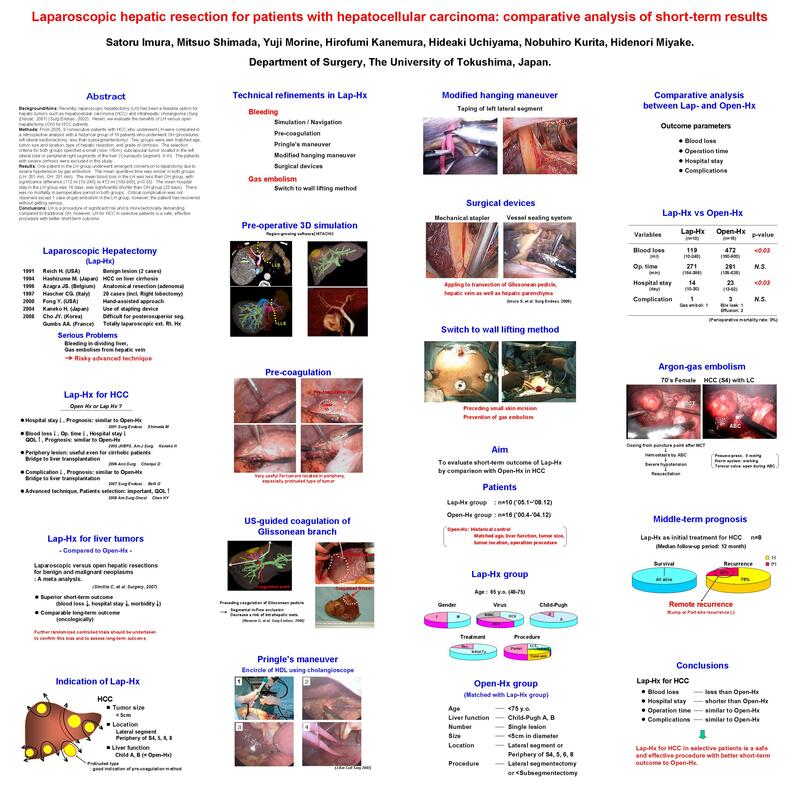 Background/Aims: Recently, laparoscopic hepatectomy (LH) has been a feasible option for hepatic tumors such as hepatocellular carcinoma (HCC) and intrahepatic cholangioma (Surg Endosc. 2001) (Surg Endosc. 2002). Herein, we evaluate the benefits of LH versus open hepatectomy (OH) for HCC patients.